Unfortunately, our dear Unions do not understand the difference between picketing and shutting down. While you have a right to picket, you do not have the right to shutdown the operations of key player such as MMA2. This is a terminal that plays an important role in the economy of our nation and these unions still decided to shut it down irrespective of a subsisting court injunction. How lawless can we be as a nation? In a lawful country those union leaders should be in jail by now. In other climes, you would expect the main regulator of the sector which is the Nigerian Civil Aviation Authority NCAA to have intervened before the matter got to the extent of picketing but not in Nigeria. It still baffles me how the NCAA and FAAN looked the other way, while their staffs who are known members of these unions shutdown a critical service industry? The NCAA watches everything in limbo and acts like it doesn't exist. When the chief regulator looks the other way when it should stamp its authority, then we are in for more shockers! Now this is the main problem with concessions in Nigeria. If a major investor in the mold and pedigree of Dr Wale Babalakin can be subjected to such humiliation, how do we expect to get more local investors, let alone foreign investors? We are yet to recover from a failed Nigeria Air project which we all know never got a single investor and the NCAA and FAAN are still adopting a 'siddon look' style? From the look of the whole MMA2 and Union brouhaha, it is obvious the NCAA, FAAN and the Police were all in support of the impunity exhibited by the unions. How else can one describe the inability of the police to disperse an unlawful gathering / trespass at MMA2 even with a court injunction? And they were all happy seeing outlets at the terminal shut, passengers missing important business or professional engagements, banks shut and airlines losing millions and threatening to downsize? Are we not tired of the level of job losses under the present administration? It was such a dark day for Nigeria, concessions and the rule of law! Recently, an aircraft belonging to overland caught fire while undergoing maintenance at its hanger at the General Aviation Terminal (GAT). The video of how the aircraft burnt beyond repair went viral and it exposed the inefficiency of FAAN and NCAA. It was a shameful sight to behold. I felt like crying for Nigeria and the aviation industry while watching the video and I asked: what if there were passengers onboard, we would have lost precious lives as a result of the ineptitude of these agencies. Voices in the background of the video confirmed that, apart from the fact that the fire fighters got to the hanger late, they ran out of water. Shame! And this is supposed to be a Category 1 Airport recently certified by NCAA! I am inclined to request what emergency management program the NCAA put in place to manage such emergency situations? When was the last audit inspect carried out on the hanger? Was this part of the audit carried out by NCAA? How did the hanger get an AMO certificate? FAAN is complicit in all of these as performance of the airport fire service fell short of a CAT 1 standard. Our CAT 1 regulators NCAA and FAAN need to tell us when last they trained and bought equipment for their emergency services officers and staff? Who knows, they may have embezzled the monies set aside for these programs and were caught unaware with the recent fire incident. A supposed Category 1 airport as large as what we have should have a minimum of 4 fire service teams; 1 each at mma2, GAT, MMIA and Cargo to meet the ICAO 3 minutes recommended standards to put out a fire incident. 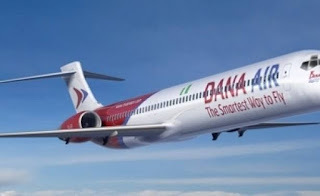 Unfortunately, both the Minister of State for Aviation Hadi Sirika and the NCAA DG Muhtar Usman have refused to issue a statement on both the MMA2 and overland aircraft fire incidents. I gathered from reliable sources that both were outside the country lounging somewhere in Canada while the country or their sector rather was on fire. These are the kind of people we have at the helm of affairs of a critical sector such as aviation and nobody seems to be auditing their affairs. With the level of mismanagement, ineptitude and inefficiency that these agencies and even the Ministry have exhibited in recent past, also with the handling of the failed Nigeria project; I will strongly recommend a total review of their operation and activities. At the moment, I can tell you for free that nobody checks or audits these agencies and you cannot be the judge in your own case as there is tendency to compromise. We deserve better as a nation and it starts with total restructuring of not just our country but the aviation industry. For us to have a robust industry, distant from what we are presently experiencing; there is need to move agencies like the NCAA, AIB, NIMET,NAMA, and FAAN from the oversight of the ministry of Aviation to the presidency for direct monitoring and to avoid the overt interference of the ministry in these agencies . The case of the overbearing influence of the former Minister of Aviation, Ms Stella Oduah, on these agencies is very fresh. We all remember how she used her office to extort money from the agencies and this is one out of the many reasons for recommendation. The Accident Investigation Bureau should be a unit under the NCAA and moved under the purview of the presidency. There must be standards and NO compromise; and considering their job as auditors, they shouldn't be answerable to the ministry to avoid the aforementioned and build a vibrant industry where safety and professionalism is guaranteed. While many including my humble self have condemned the handling of the failed Nigeria Air project by the junior minister of transportation, Hadi Sirika, I commend the minister for at least accepting that the agencies cannot effectively manage the airport infrastructure and reaffirming the commitment of the President Muhammed Buhari led administration to concession the airports. Aviation experts have also said that MMA2 has shown that concession is the solution to improving our airport infrastructure, as the terminal provides the best passenger facilitation at the moment and can also be co-opted to manage the other airports around the country.